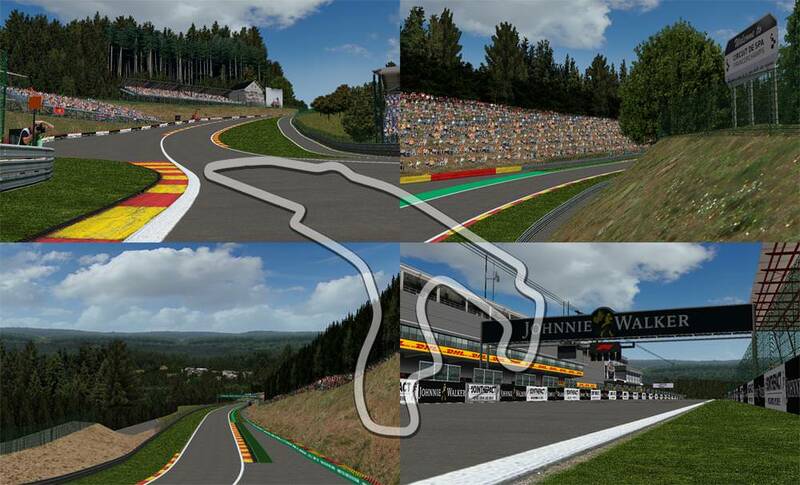 A graphical update for the Spa-Francorchamps circuit, based on the 2009 version by F1Virtual. Not 100% finished. Free for everyone to use and improve it as they wish. Thanks, I´ll try it at once..
Do you have the .dat? Fantastic work like always, thanks! Spa 2018 Beta does not work. There is not the Dat. With the one I had on that circuit, it does not work either, and the original of 2009 from Virtual either in the area from the chicane until after La Source heading to Eau Rouge (They go through buildings). The game is in the pitlane. Impossible. What Dat do you use, which is not in the package, to work? I think many of those who appreciate and praise did not take the trouble to prove it. Maybe the problem is also in gp4 file in the wad. I insist ... Where or what is the dat for this Spa 2018 Beta? hey, what he hell is going on here? a hint, which correct dat to use would be helpful, wouldn't it? Edited 1 time(s). Last edit at 10/14/2018 12:27PM by tojepo.